Have you wondered how to really change your life? My journey to mental, emotional and physical health began in 2004 as I was introduced to a whole new way of perceiving our universe through Quantum Physics. Through this expanded awareness, I opened to a series of amazing encounters with 5 Archangels and other Beings of Light. Before that time, I was like so many others, struggling to make it through each day, feeling all alone, desolate, trapped in a long term loveless marriage. I truly believed I was powerless to improve my situation no matter how hard I tried. As I reached rock bottom, I was finally motivated to seek help. Read below, how I went from constant despair to enjoying pure unconditional love and deep nurturing peace flowing through me. You can reach this expanded state of consciousness too. Are you ready to make some changes in your life? Have you reached your limit? What are those “gut feelings” you feel at times? 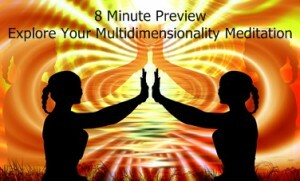 Are you ready to experience Cosmic love and light beyond your rational mind? I offer guided meditations and classes based on 11 years of experience, to support you in opening to new thoughts and experiences which in turn, change your life in many wonderful ways. At the point in my life when I felt most helpless and alone, I met someone who shared some insights from Quantum Physics about electrons acting as either a wave or particle depending on how the scientist observed the tiny sub-atomic particles. Before this discovery, no one thought the observer had any influence on what was being observed. You might want to read more on this fascinating subject to understand how consciously choosing your thoughts and their corresponding feelings can change your life moment by moment. I’ve written an article on this called, Choose Appreciation over Criticism. My new friend also told me about the Law of Attraction as described by Abraham-Hicks, and the idea that “Whatever you focus on, you get more of”. She knew I had a lot of resentment and anger toward my spouse, so she suggested I come up with one positive quality that I genuinely felt about my husband. Whenever I began thinking critical thoughts of him (which was pretty much all the time), I was to redirect my thoughts to that one admirable quality. In the beginning, it was extremely hard to do. How entrenched I was in thinking negative thoughts about him. But I persisted and slowly I was able to find new perspectives on not only him, but everything in my life. As I began interrupting the endless loops of critical thoughts that had played out in my head for years, I felt calmer, more peaceful. I read in one of Deepak Chopra’s books that in the space between thoughts, you dip into the infinite wisdom of the Universal Mind. I didn’t know what that meant, but it felt like something I had always wanted …to have a conversation with God, so to speak. So I began asking a question, then meditating and stretching out the space between my thoughts in the hopes that a new answer would appear. I had so many personal questions I wanted help with, like “What changes can I make in my life to be happier? And broader questions like, “Where did I come from?” and “Where will I end up after this life?” Gradually, I began receiving insights about everything I asked about. These new thoughts were always so loving and without judgement, so I knew they were coming from somewhere beyond my rational mind. I met some amazing spirit guides who were eager to help me with anything I asked. Some of my friends who knew I was receiving answers from beyond my rational mind, began asking their questions so I started doing “Readings” for them. But it soon became apparent that I and my spirit guides wanted to do more than just answer individual questions. Our desire is to help anyone interested quiet their mind and expand their awareness so they can receive their own answers. So for over 11 years, I have been recording these Guided Meditations infused with the beautiful transmissions of cosmic love and wisdom from my Higher Self and Spirit Guides. I carefully translate a part of these transmissions into words and images and much more is present beyond the words. 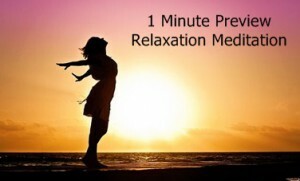 Each meditation is made up of a unique flow of higher frequencies designed to help you quiet your thoughts, calm your emotions and relax your body while you gently glide into the stillness between thoughts. Here you experience first hand the state of Being where all expanded wisdom and love flow. 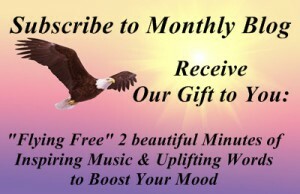 You can preview and purchase the Mp3 Downloads of several of these powerful Guided Meditations here. The Elohim group came to me first over 11 years ago. A little later, I became aware of loving presence from Sirius called Sironeon. And for the last 5 years, five Archangels, Michael, Gabriel, Raphael, Uriel and Metatron have been working with me to bring guided meditations to several groups. With each meditation, I feel this profound love and expansive wisdom flowing through me and out to those listening. Try a meditation here and feel how loved and supported you are. 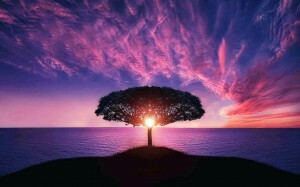 Open to expand your awareness making it easier to create a peaceful oasis for yourself here on Earth. I plan to post a monthly message from one of my Guides. Our intention, as mentioned earlier, is to help you change your life by quieting your mind and flowing into altered states of awareness where you can start experiencing more of who you truly are…an eternal Being of Light. You can sign up to receive these monthly messages directly in your email. I have helped clients all over the world via skype to meet their Spirit Guide or inner guidance.The Elohim work with me to hold the precise frequencies of your Guide’s energy to help you make a smooth and easy connection with them. Everyone has a non-physical guide or group of guides who are eager to help you change your life and make it flow with grace and ease. You can receive answers to all your questions by allowing more expansive thoughts and feelings to flow to you. All the guided meditations that I receive from my non-physical Guides and Angels are intended to help you open this channel of communication by remembering more of who you really are. Schedule a Session to Meet your Spirit Guide. I also offer private readings over the phone where I receive answers to your questions. The Elohim will make a connection with your Higher Self and/or Spirit Guide to give you the most accurate answers possible. Please contact me to schedule a private reading. Life is an amazing adventure and we are supported and helped in so many ways.